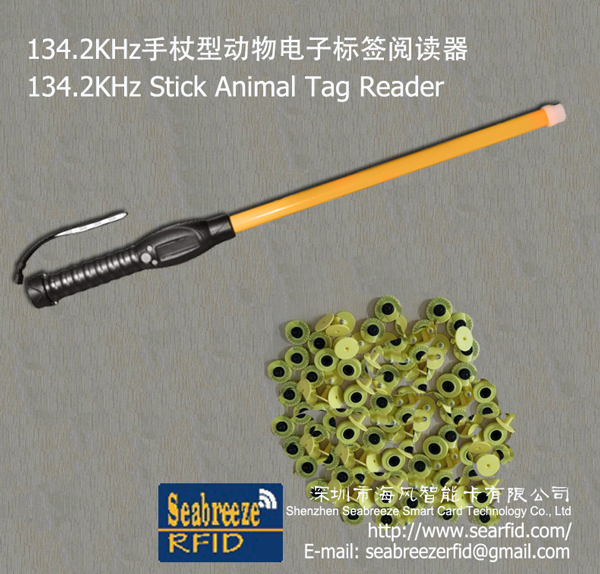 •DH28 125KHz/134.2KHz Stick Animal Tag Reader that produced by SeabreezeRFID, meeting the need of domestic and international livestock management informatization. It's domestically initiated and reaches the international advanced level. 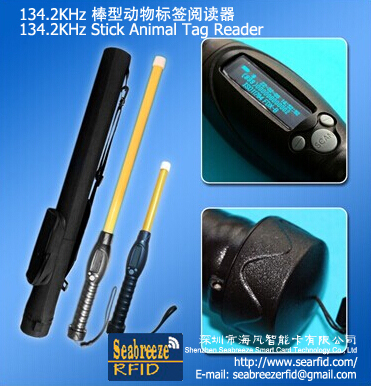 •DH28 125KHz/134.2KHz Stick Animal Tag Reader unique design of stick antenna meets the actual demand. 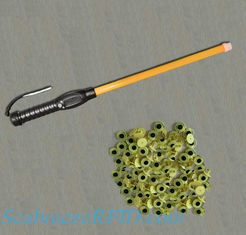 The shell is durable and reliable due to its high-strength material. It has large data storage and supports both USB and bluetooth data transmission. It can read all types of electronic tags that complied with the international animal identification standard. 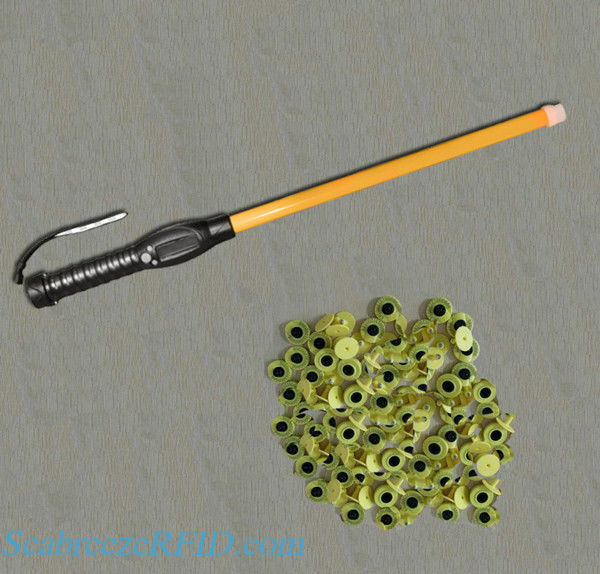 •DH28 125KHz/134.2KHz Stick Animal Tag Reader is conveniently used in breeding stock and dairy stock management, fat stock breeding, slaughter and so on. In animal identification, the reader can recognize the tag number automatically without contact or human intervention. It can ensure tag number's unique and counterfeit proof features with its mature, stable and unique design. ISO Compliant Conforms to standards established by the International Organization for Standardization. The world' s largest developer of standards.